CAWDELL, JAMES MARTIN, army officer, author, teacher, secretary, librarian, and publisher; baptized 24 Feb. 1784 in Sunderland, Durham, England, son of James Cawdell and Sarah Martin; d. unmarried 13 July 1842 in a Toronto boarding-house. By his own account James Martin Cawdell had the “Usual Classical Education” before beginning, “in compliance with my Father’s Wishes, tho’ repugnant to my own,” the study of law. A self-declared romantic and more interested in “Rank & Honours” than wealth, he selected the Canadas as the site for his ambition. 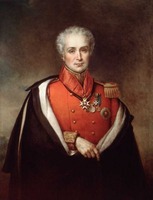 He purchased an ensigncy in the 100th Foot and joined the unit at Montreal in July 1810. What followed is largely known from his own account in a petition of December 1818. Aggrieved, Cawdell determined to sell his commission and settle upon land he had purchased in the province. The War of 1812 interrupted his plans and he served in various capacities with the 100th until his resignation was confirmed in October 1813. 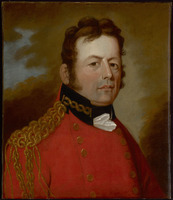 Then stationed at Stoney Creek, he was anxious “to do something that would bring me forward to Notice & at the same time benefit my Country.” In October he wrote to Governor Sir George Prevost* of his plan which, Cawdell believed, “has more the Air of a Don Quixotte than of rationality” – for erecting an independent state near Fort George. Here he would raise a guerrilla band and become a “Thorn” in the Americans’ side. The proposal was dismissed. Cawdell was subsequently captured by Joseph Willcocks*’s marauders. After escaping, he renewed unsuccessfully his efforts to obtain a militia commission. Several months later George Crookshank* appointed him to take charge of the commissariat’s stores at Holland Landing, a position he held until the end of the war. In January 1816 Cawdell’s application to succeed the ailing king’s printer was rejected. Aware of his reputation for eccentricity if not lunacy, but by his own admission hot-blooded, he determined on a course which would cut him off forever from the fount of all honour and rank in the province’s society. Once again, he lampooned Gore. In 1822 Cawdell received a small crumb of office, the adjutancy in a York militia unit. A year later, “labouring under heavy pecuniary embarrassments,” existing on his meagre teacher’s salary of £16 per annum, and living from house to house, he begged Maitland for two recently vacated positions in the Western District, but without success. 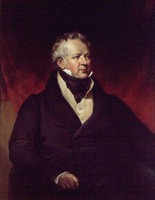 His long search ended in 1833 when, probably with the support of Robert Baldwin*, he became secretary and librarian of the Law Society of Upper Canada. 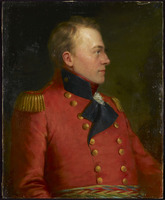 Although he had once chosen the military life over literature as the surest, or quickest, means of acquiring honour, it was his meagre talents for “poetical trifles” that earned him historical notice as an early Upper Canadian writer of verse. Beginning on 12 Dec. 1810, his poetry had appeared, under the pseudonym Roseharp, in the York Gazette for some months. Whether paeans to England’s constitutional and military glories, to nature, or to women, his productions were not, it seems, well received. John Beverley Robinson* dismissed his efforts as “trash.” In May 1811 Roseharp disappeared from the Gazette’s pages when Cawdell fell from grace. By the early 1820s, however, he had acquired a modest reputation for his talents. Charles Fothergill, in publishing a poem Roseharp had written for a militia ball, referred to him as a gentleman “well known for his poetic talent.” In 1826 Cawdell published a slim volume of his poetry, the proceeds from which went to one of the favourite charitable societies of gentlewomen in York. As important to historians was his role in the province’s literary beginnings. In 1823 he founded a quarterly, the Rose Harp. No copies are extant but a Niagara newspaper noted receipt of the first issue that July. In 1835 he launched another periodical under the same name. Believing that the colony “has now arrived at such a state of improvement in population and wealth, that we already see the dawning of the Arts and Sciences,” he intended to establish a “Roseharp Patriotic Academy” to fund the periodical and to “encourage and diffuse sentiments of loyal patriotism – a taste for literature, and the fine arts.” Support, however, was apparently not forthcoming and the new journal failed after one issue. James Martin Cawdell’s volume of poetry, The wandering rhymer, a fragment, with other poetical trifles, was issued anonymously at York (Toronto) in 1826. The sole issue of his second journal, the Roseharp: for Beauty, Loyalty and Song, was published at Toronto on 1 Jan. 1835; it appears to have been written as well as edited by Cawdell. Copies of both items are available at the MTRL, along with the manuscript of a song, “The Raven Plume, A Romance From a Welsh Legendary Tale . . . ,” which Cawdell composed for the York Bazaar Concert of 1833. His petition has been published as “The memorial of J. M. Cawdell, 1818,” ed. Adam Shortt, CHR, 1 (1920): 289–301. AO, ms 4, J. M. Cawdell to J. B. Robinson, 8 July 1840; ms 78, J. B. Robinson to Macaulay, 15 Feb. 1811; RG 22, ser.302, reg.6 (1838–42): 472–74. Church of Jesus Christ of Latter-Day Saints, Geneal. Soc. (Salt Lake City, Utah), International geneal. index. CTA, RG 1, B, J. M. Cawdell to T. McCord, 30 Aug. 1841 (mfm. at AO). MTRL, Robert Baldwin papers, corr. of M. A. Cawdell to Baldwin. PAC, RG 1, L3, 106: C14/7; RG 5, Al: 5026–27, 11553, 19777–91, 19795–98, 31870–72, 56711–13; RG 8, I (C ser. ), 680: 322; 790: 26–34; 1015: 66;1016: 105; 1168: 144;1170: 327; 1171: 41; 12031: 187, 266; 1220: 152. Doc. hist. of campaign upon Niagara frontier (Cruikshank), 8: 96. John Askin papers (Quaife), 2: 691–93, 697. 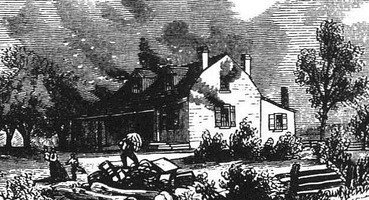 Gleaner, and Niagara Newspaper, 19 July 1823. Weekly Register, 29 April 1824. York Gazette, 1810–11. Law Soc. of U. C., Law Society of Upper Canada, 1797–1972 . . . , ed. J. D. Honsberger ([Toronto], 1972), 59–60, 114. Robert L. Fraser, “CAWDELL, JAMES MARTIN,” in Dictionary of Canadian Biography, vol. 7, University of Toronto/Université Laval, 2003–, accessed April 25, 2019, http://www.biographi.ca/en/bio/cawdell_james_martin_7E.html.